In accordance with the family’s wishes a public service will take place on Friday, April 5, 2019 with visitation from 10:00 a.m. until the time of service beginning at 11:00 a.m. at Hohner Funeral Home. Interment will be held following the service at Hillside Cemetery of Kalamo Twp, MI. 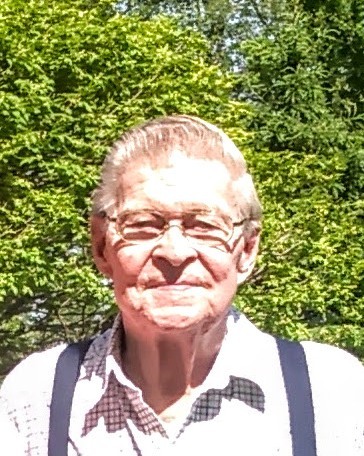 Wayne Forrest Fulton, age 83, of Three Rivers, MI went to be with our Lord in the early hours of Sunday, March 31, 2019 at Three Rivers Health. He was born on April 27, 1935 in Kalamazoo, MI the son of James and Hazel (Dodd) Fulton. Wayne served on the St. Joseph County Fair Board. He and Knaomia cooked for many years for the fair entertainers under the stage, which he enjoyed. The Masonic Lodge was a big part of his life for over sixty years. He founded Park Electric Controls in 1970 and retired as a Master Electrician Instructor. He was preceded in passing by his parents, two brothers, a sister, and two grandchildren. He leaves to cherish his memory his loving wife of 32 years: Knaomia (Wilson) Fulton; children: Jonathan W. (Janet) Fulton, Gregory M. Fulton, Melanie L. (Martin) Oswalt; sister: Janice (Barry) Beamish; daughters: Bonnie (Jim) Frye and Laurie (Carey) Yurick; and several beloved grandchildren and great grandchildren. Memorials made in Wayne’s memory may be directed to the Boy Scouts of America and the Kalamazoo Masonic Lodge No. 22. Envelopes are available at the funeral home.